Islam: An Invitation to Think! Racism and Prejudice continues to be a hot topic today, despite efforts to denounce racism throughout the world, it still exists to varying degrees, most of which is very subtle these days. During March of 2005, a workshop was created to discuss racism and prejudice in N. Ireland, an area which has seen great turmoil in the way of paramilitary war and terror, but recently has become steeped in racism as immigration has accelerated with the end of the troubles in N. Ireland. A call to true submission, not a submission to mankind, or any worldly things. Clearing the misconceptions that Islaam has restrictive rules and close-minded ideas. This brief articles shows how Islaam can serve as the modern solution to whatever ails mankind. Is the Religion of Islam True or False? Three important questions which allow a person to see if the religion is correct or incorrect. A straightforward word concerning the special characteristics possessed by Islam, which are not present in other religions. 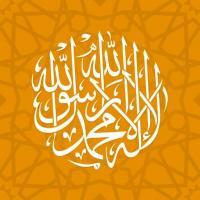 Such as, Islam’s unique message and mode of worship, the universality of its creed and more.